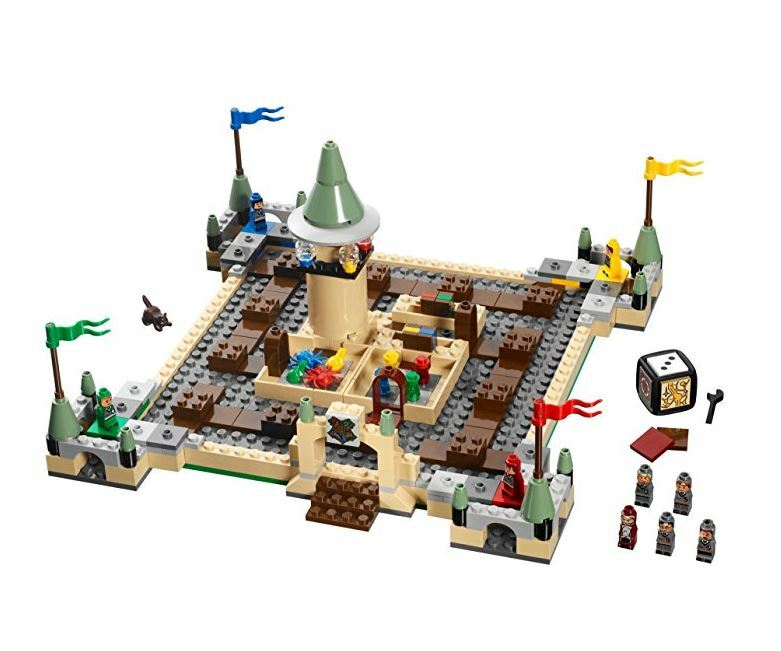 Buy the Harry Potter Hogwarts Board Game 3862 from Lego and enjoy the magic of Harry Potter and his endeavors to fight off Lord Voldemort together with your whole family. Fans would be the sure buyers of this game, but even if you are not, you will be convinced by the detailed construction and design of the toy. Unlike the conventional way of playing a board game, this LEGO has to be built first before you can play. It is simple, but it makes use of your creativity as well. 1 Win The Epic Battle For Hogwarts! Win The Epic Battle For Hogwarts! There are different ways to customize the board while you build it so that the arrangement of the rooms can be changed. To win, they have to get past the magical obstacles that lie along the way. They have to use their best strategies to get their items and win the race. You will be provided with characters to represent the Houses of Hogwarts. To be hailed the winner, you have to get all items from different sections of the castle then you have to get back to your own House. Of course, your opponents will do their best to stop you but use your imagination and strategy to get past them. 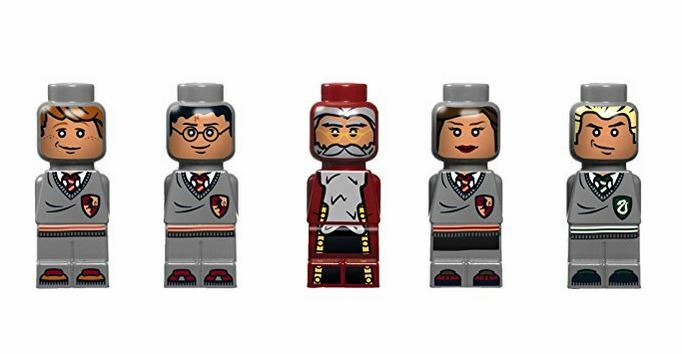 The most popular characters you will get this set would be Harry, Hermione, Ron, Draco, and Dumbledore. Not only do you get to play the game, but you can also add a bit of roleplaying as well. Use the 322 pieces to create your board. That way, you can make the board fitting into the age range that is supposed to play. You can vary the difficulty level depending on how you put in the pieces. Use your imagination and creativity to come up with a challenging playing field. The six-sided die can be built as well, and you have 7 tiles for that. Change the rules and the difficulty of the game by changing the tiles. A challenging combination of tiles in your die and a challenging board would surely give you hours of fun and magical excitement. 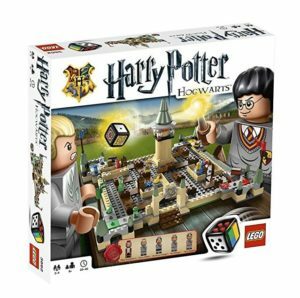 This Lego set is perfect for kids who love the Potterverse but cannot find enough captivating Potter themed games to play with. One of the most significant advantages of this toy is that it’s not just fun and exciting for dedicated fans, but for anyone looking to have some fun with a board game, be it someone young, an adult, or even the elderly. Kids love to play with this not just often, but almost every day. Because they get to put it together every time, it does not get boring. The excitement stays unlike most games of such categories. The block people or characters can be moved around, and so can all the other parts of the set like the stairs, after which you can start adding more things inside it. If you get bored, try tweaking the rules a little bit, reach out to someone else for new ideas or introduce your own rules. Either way, it shall remain just as fun. New rules mean an entirely new scenario waiting to be solved. You can also alter the pieces attached to change difficulty levels, and the layout as well. The game works in fun ways where characters have to fight their opponents to proceed, and it lets kids engage and find new ways to do so with every turn. All these make the games go on for long periods of time because just assembling it can take hours when done for the first time, so children do not get easily bored, and is a great way to keep them busy and out of trouble. Because the play requires some thinking and strategy to proceed, it lets the liitle players explore their little brains instead of merely wasting time on a gameplay. They come up with new approaches to play in the ever-changing and challenging environments. It is fit for as less as four people, so when children play with their friends, it lets them all think together to come up with new ideas while playing. The more people you add to the match the more exciting and challenging it gets. The Hogwarts game is also great to be played with babysitters as well since this requires a bit of intuitive thinking, and the babysitters will not get annoyed either but will enjoy playing with the kids. Once you build this up with your kid, it proves to be a very sturdy and stable toy. Little pushes and pulls will not break it apart. This is perfect for children that love to be rough with their board games because this will not be damaged easily. One does not even need extra floorboards with this. Add in variations to make this fun play even more engaging. It is exciting, very fast-moving, and there is never a dull moment when you play. When your Harry Potter obsessed kid finally gets bored with his movies and books, hand him one of these. It will surely keep him going for long. With so many pros, drawbacks are inevitable, and here some of the advantages can prove to be cons for different age groups. Although this is designed for kids, unless they are more than 8 years of age, they might not understand the strategies required to proceed with it. Younger ones will only enjoy assembling it, but not playing it any further since the gameplay after it gets pretty tricky for kids. Children with special needs will not be able to enjoy the true essence of the toy either. Some children also have complaints about some of the characters, while others have said that it is pointless after building the entire thing from scratch. Kids might even lose interest instead of gaining it when the gameplay starts to get too complicated. The rules that come with it are not very elaborate either, so it leaves some kids wondering how to proceed.